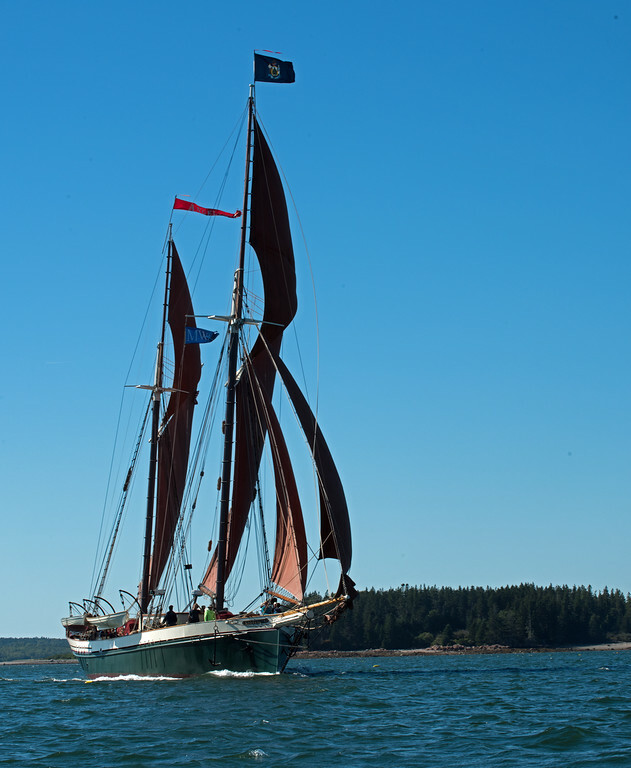 Two Maine-based celebrities spent Sunday night together in Great Cove and went their separate ways yesterday: the 122-foot luxury yacht Atlantide out of Blue Hill and the 130-foot windjammer Angelique out of Camden. Looks can be deceiving with these two. Angelique was designed as a 19th Century English Channel gaff topsail ketch, but she was built here for tourists in 1980. Atlantide was designed as a personal motor yacht (with auxiliary sails) for Sir William Burton and built in England in 1930; she saw naval service in the evacuation of Dunkirk in World War II.